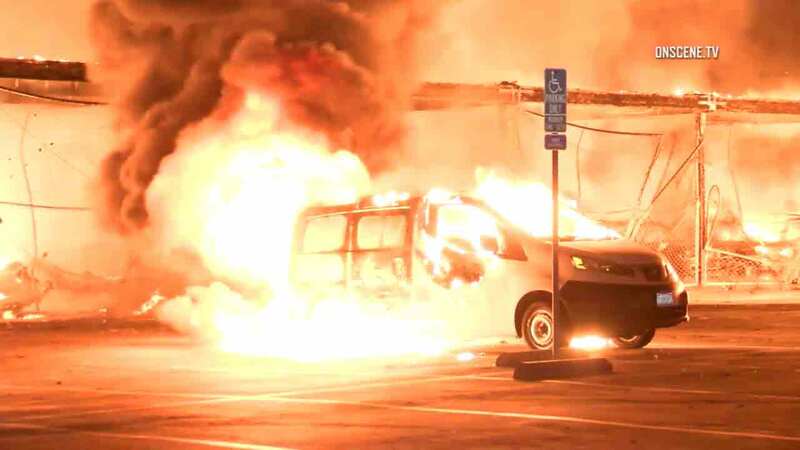 A van parked at a Newport Beach storage facility is caught in an explosive blaze on Nov. 11, 2016. NEWPORT BEACH, Calif. (KABC) -- Police on Monday busted an Anaheim man on suspicion of arson following a large fire that badly damaged a Newport Beach storage facility. Investigators won't say if Albert Eugene Faulk started the fire on purpose or accidentally, but the 47-year-old has been charged with unlawfully causing a fire to an inhabited structure. The blaze charred 40 outside storage areas when the location, in the 800 block of Production Place, caught fire on Nov. 11. Three people, including a firefighter, were hurt by the flames, but their current conditions were unknown. Faulk was arrested by Newport Beach police in Santa Ana and booked at the Orange County Jail.